Early morning game drives to see more animals that habit this park, that include predators’ lion. Leopard and other game. Over 500 bird species have been identified here, making it a Mecca for bird-watchers. They include the black bee-eater, 11 different species of kingfisher and several falcons, eagles and other raptors. Queen Elizabeth National is one of the most outstanding treasures of Uganda, and has been designated a Biosphere Reserve for Humanity under UNESCO auspices. It borders on Lake George and Lake Edward as well as Kazinga Channel in the western area of the Great Rift Valley escarpment. After lunch take a 2-hour launch cruise on the Kazinga channel. This waterway joins Lakes Edward and George and it is filled with schools of hippos, buffaloes with elephants at the banks. This launch cruise offers an excellent platform for photography, bird watching and game viewing. The prolific bird life is colorful and stupendous with well over 550 resident species. After boat cruise drive to Kibale National Park via Kasese town for an overnight at Kyaninga Lodge (Luxury lodge) or Isunga lodge (Midrange lodge) or Rweteera Safari Park (Economy lodge). After your breakfast, take a hike to the crater lakes of Ndali an amazing experience for sightseeing and the best scenery in Uganda or many they have regarded it to as a million dollar view. Later after proceed to Kampala with lunch en route. Meal Plan: B-L.
End of the 6 Days Uganda Primate Tracking Safari. Transportation by a 4 x 4 safari vehicle. 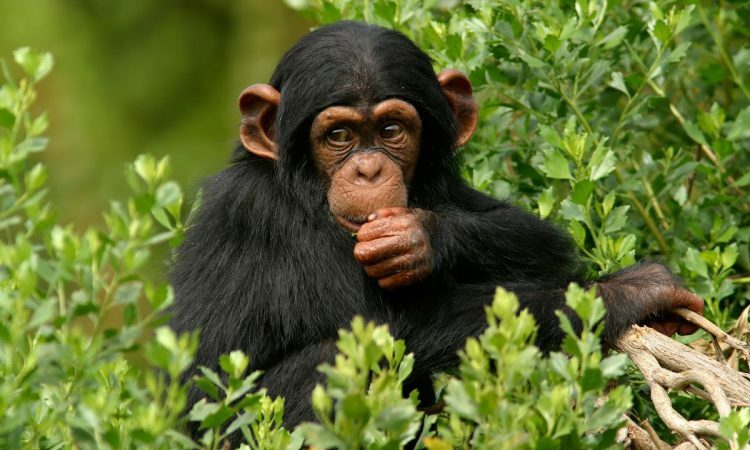 However, the 6 Days Uganda Primate Tracking Safari package to exclude expenses of personal nature like: drinks, laundry, tips, telephone, cigars, etc.